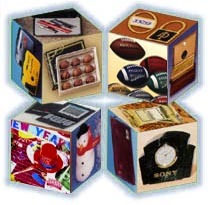 General Sales, Inc., wholesale distributor of party and entertainment equipment and supplies, and General Sales Specialties, Inc., wholesale distributor of custom-branded promotional & specialty products, operate under one roof with the same business professionals. The General Sales family of companies started in March of 1967, and has branched out and expanded along with the cruise line and resort industries. Our customers know they can rely on us for a wide range of products at competitive prices that are delivered as promised. We can provide you with complete artwork & design services, warehousing and fulfillment services, and we ship and/or export everywhere. Tambien se habla Español. We accept . . .